JUST RELEASED: The Voyager EVO is the upgraded successor to the best-selling Scout EVO. The Voyager EVO is Inovativ’s lightweight, travel friendly workstation, ready to support you wherever your craft takes you. Small Size Payload Capacity: 400 – 600 lb (dependent on cart size selected). Collapses down to 8.25″ thick with wheels inside. 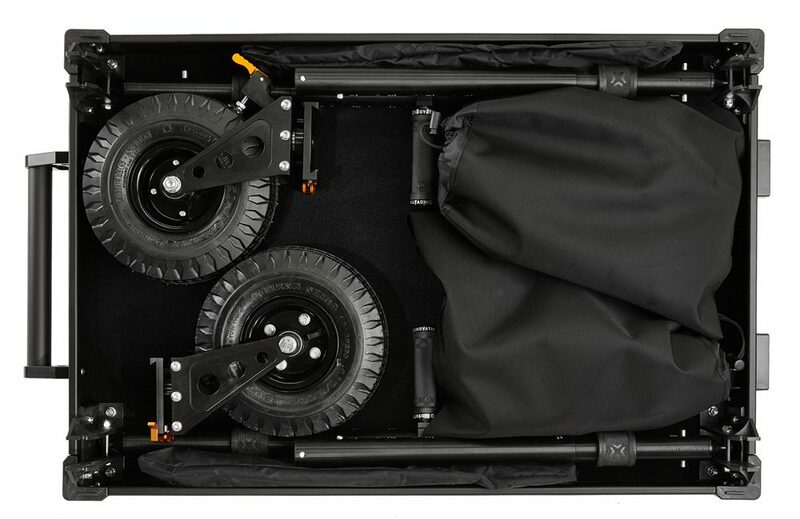 Breaks down into a flight-ready travel case with travel handle and built-in transport wheels. Built Rigid & Stable – Constructed of premium 5052 and 6061 aluminum, 40% Glass Filled Nylon Corners & Hinge Brackets, and stainless steel hardware. Pneumatic Tires (Air-Filled) & 100% Sealed Bearing Wheels (Extremely quiet and easy to roll). 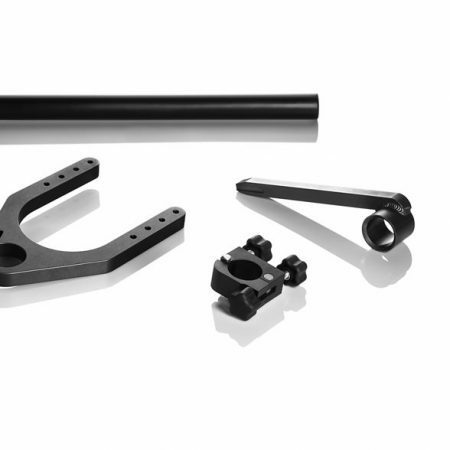 Type II Anodizing on all uprights and machined parts. Inovativ’s Premium Foot Brake System (Stronger Braking Power, More Ergonomic for applying the brakes than standard foot brakes). New Spring-loaded latch system for securing your collapsed cart. Optionally, you may add your own padlocks for security. New Threaded Rail Plates integrated within top shelf. 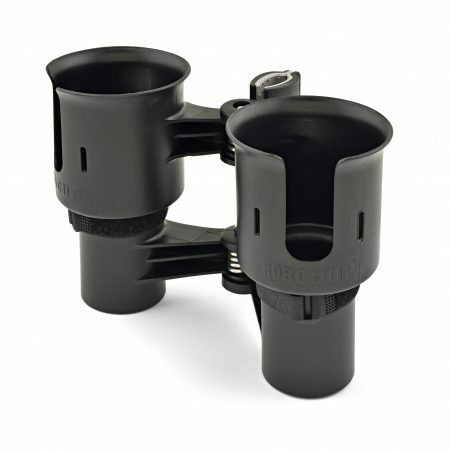 Supports 1/4-20 and 3/8-16 accessory attachments. 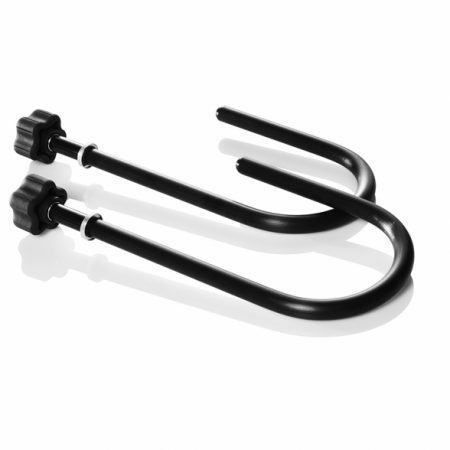 New Rubberized release collars on cart posts for easier grip during assembly / disassembly. New Rivet-free and weld-less construction. New Thicker transport handle for comfort. New Side handle cutouts for easier loading/unloading collapsed cart. New Travel case accessory (coming soon). 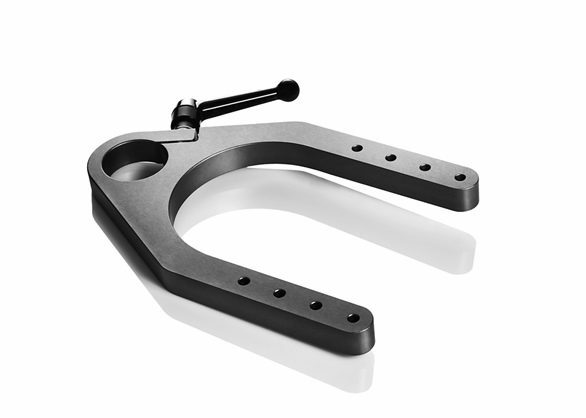 2 cross bars supporting 3/8-16 accessory attachments. Upright posts lock in place and will not loosen over time. 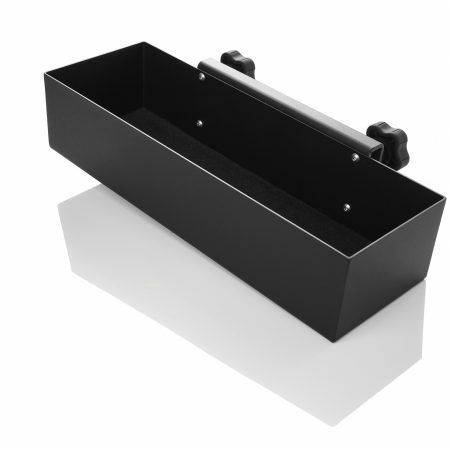 Durable texture black powder coat on top and bottom shelves. equipment attachment flexibility, ease of travel and protection of your investment. 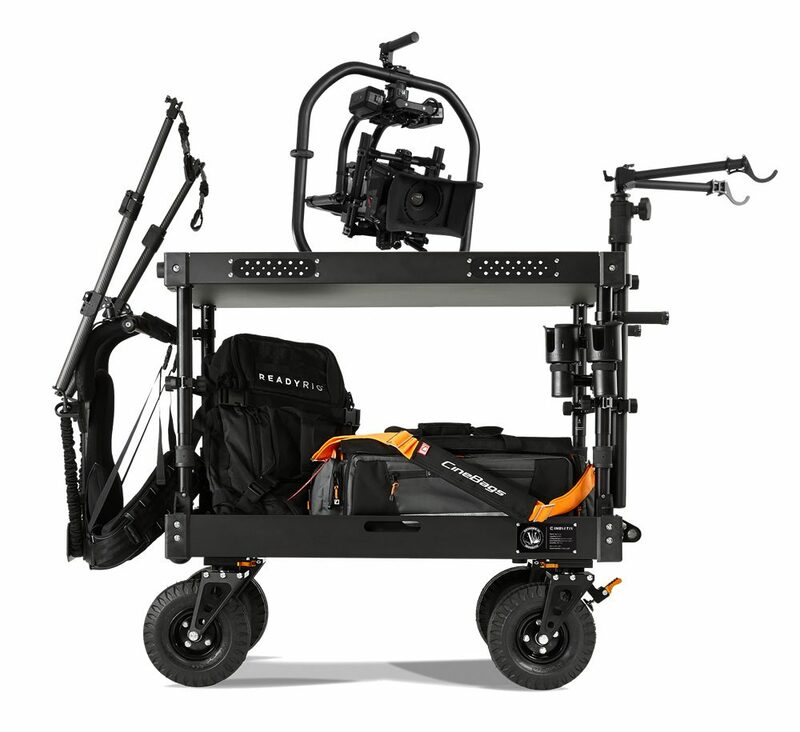 We take you through the details of the Voyager Cart to show you the distinguishing factors that set this cart apart from others. Don’t lose time searching for tools. 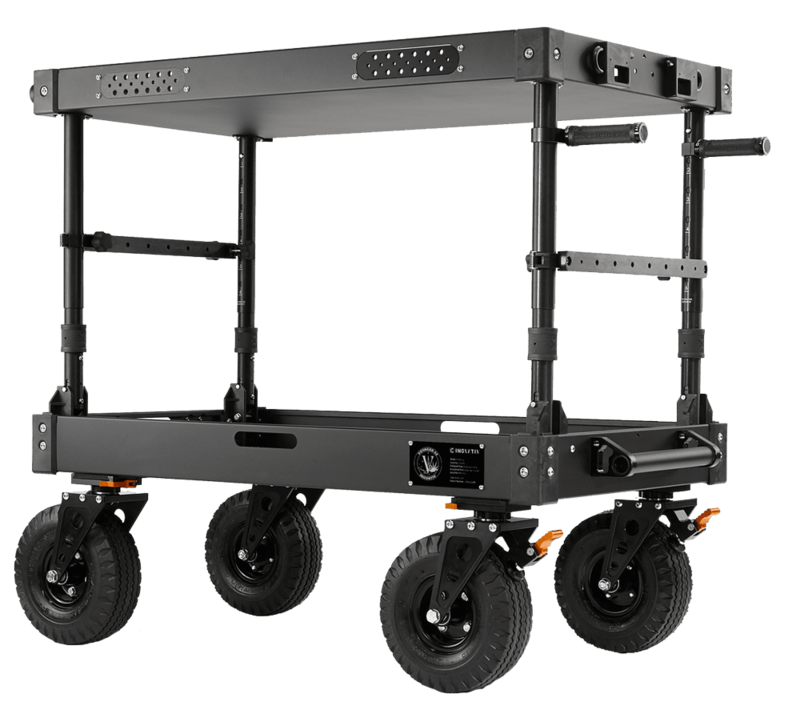 We understand time is valuable so our carts are designed to be assembled and collapse effortlessly in 30 seconds or less. Watch this video below to learn the advantages of Pneumatic Tires over Polyurethane and Foam-filled Tires. Manufactured using the very best lightweight premium materials, we are able to keep the overall weight of the Voyager EVO to a minimum without sacrificing durability or stability. X-Top: Keyboard Friendly, DIT Approved. 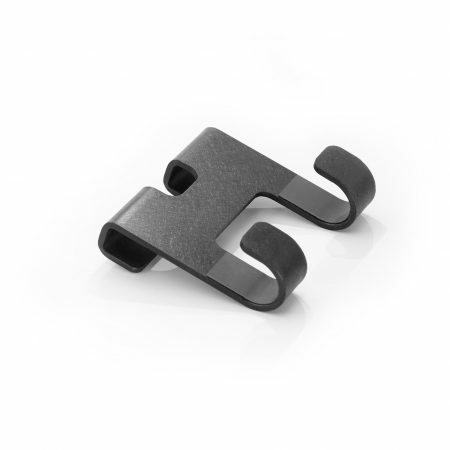 A folded lip, much like the beloved Echo cart, giving users a flat surface to comfortably use a keyboard. Pre-drilled holes to allow the attachment of a lockable top drawer. 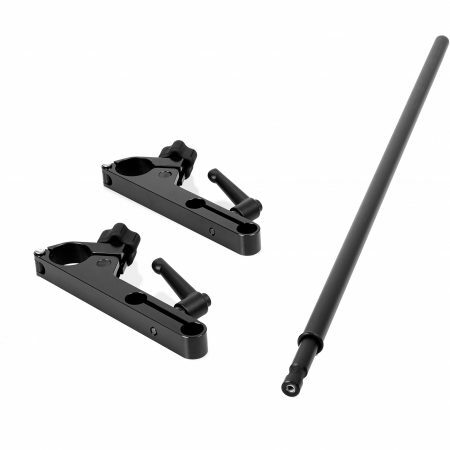 The X-Top features up to two threaded rail plates and comes optimized for Inovativ’s unique Insight monitor mount system, so you’re ready to bring your DIT game anywhere in the galaxy. Available on Voyager 30, 36 and 42 EVO models. 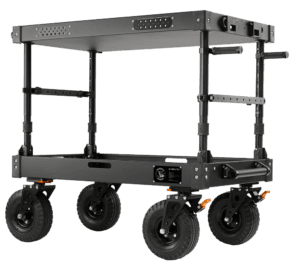 Voyager EVO’s feature up to 4 Threaded Rail Plates, depending on size and type of top, which are integrated into the top shelf and have a mix of 1/4-20 and 3/8-16 threaded holes allowing you to mount additional accessories and third party products. 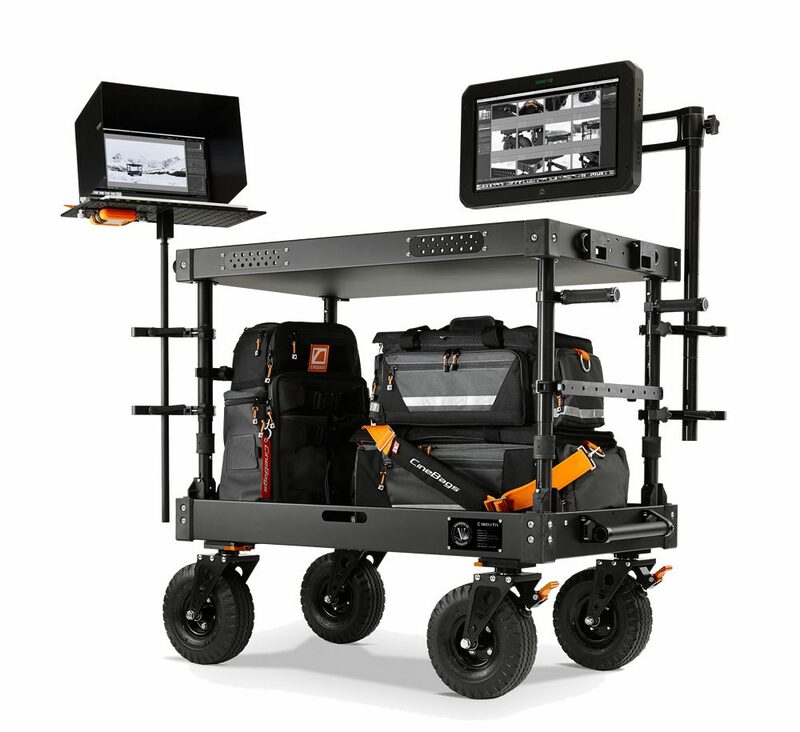 Breaks down into a flight-ready travel case with travel handle and built-in transport wheels.and built-in transport wheels. JUST RELEASED: The Voyager EVO is Inovativ’s lightweight, travel friendly workstation, ready to support you wherever your craft takes you.